Okay, I might be jumping the gun here a bit but I can’t help it. Spring is in the air even though it’s still only mid-April, and things are popping up in the garden. Rhubarb, chives, leafy greens. 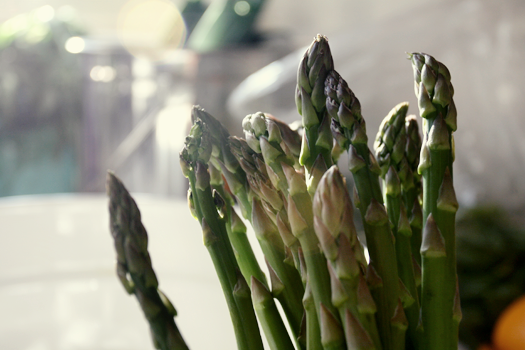 Asparagus is soon to follow. This recipe is from a really un-vegan cookbook called Roast Chicken and Other Stories. Great cookbook but getting a little dusty on my shelf these days. I’ve modified the recipe several ways and, alas, it’s still awesome. Oil instead of butter. No cream. The author, Simon Hopkinson, peels his asparagus and purees it into a very refined “elixir” as he calls it. I don’t. I love the “country” version with its more robust texture. 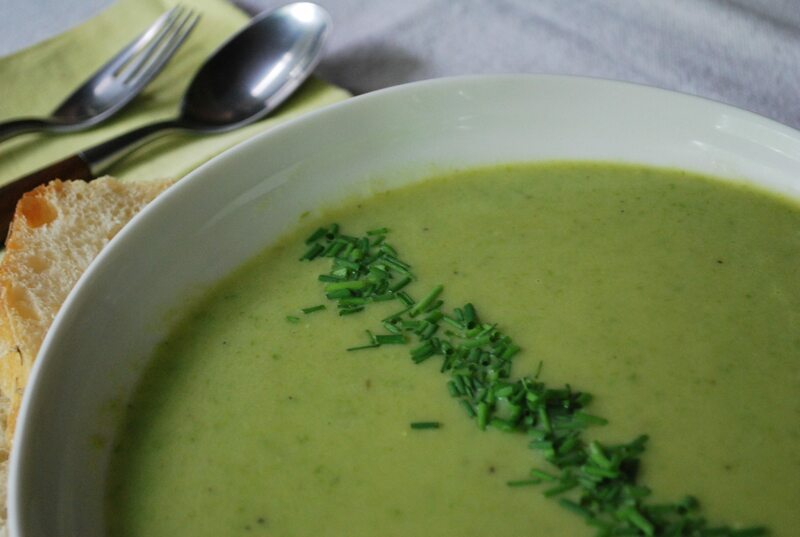 And “just to know” (my 8 year-olds expression that makes me smile each time he says it), last year I bought pounds of fresh asparagus to make this soup. I made soup until I was sick of it. But it still wasn’t enough. We piled through it in no time, asparagus season ended, and I went into withdrawal. Moral of the story? Make way more than you think you need! Oh, and one more thing. This is true for any cooking, but with really exposed recipes like this, the better the ingredients, the better the finished product. Don’t cut corners. Use good olive oil. Buy really nice, organic leeks. Make some home-made vegetable stock. You’ll thank yourself. Heat the oil and stew the leeks until soft. Add the stock and potato, season with salt and pepper, and cook for 15 minutes. 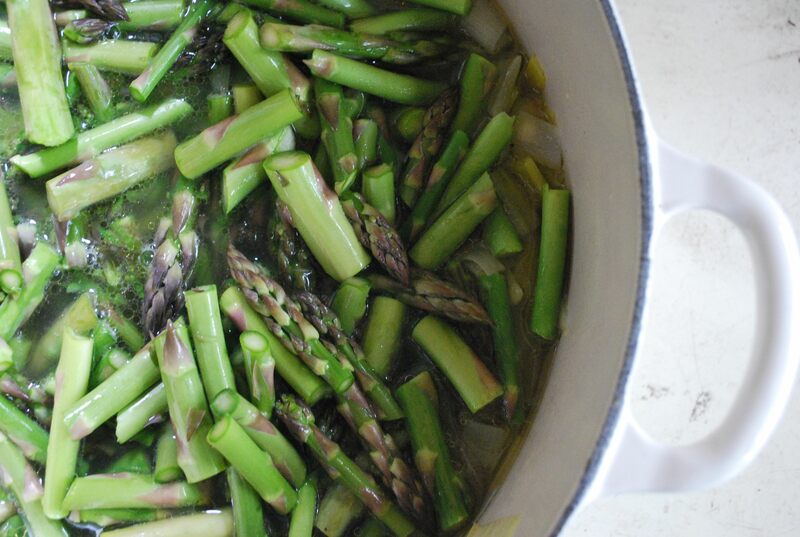 Quickly chop the asparagus, add to the soup. Boil rapidly for 5 minutes. Blend thoroughly. Check the seasoning. This soup is equally good hot or cold.